Tap the Frog Doodle is a that will replace dozens of other games. It is all because it includes hours of gameplay, diverse mini-games filled with light-hearted humor and achievements to keep you coming back for more. Are you interested? It is good because now you have the opportunity to play it just in your browser! • Easy to pick-up gameplay but challenging to become master. We said enough! 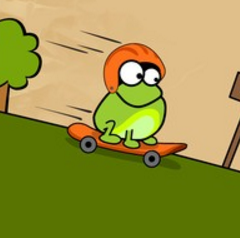 Just play Tap the Frog Doodle for free online in your browser and enjoy! Use the mouse to play it.